To check your Workspace Email accounts, you can always go to email.secureserver.net. However, you can also check your email at http://email. [your domain name]. 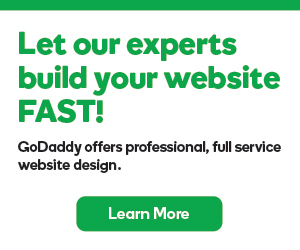 The same GoDaddy account, we set this up for you automatically. Different accounts, you'll need to configurate this manually. To configure email. [your domain name], you'll need to modify your domain name's DNS settings, namely its CNAMEs. Registered and hosted with us, you can use the CNAME section of Manage DNS zone files. Registered elsewhere but hosted with us, you can use Manage DNS for your hosting account. Registered or hosted elsewhere, you'll need to contact your domain's registrar or host to modify its CNAMEs. Your CNAME records differ based on your email server's location (more info). We also offer additional, optional CNAME record configurations for third party email clients or alternative URLs to access your Workspace Webmail. These CNAMEs do not affect your ability to send or receive email. Again, which ones you use are based on your email plan's region. Is my free Email included in domain or web hosting?